If you want to quickly change your look without cutting your hair, try using hair extensions. You can wear them just a few days for a special occasion, or your can leave them in longer Extensions are made with real or synthetic hair. Synthetic hair is cheaper, but real hair looks more natural and can be heat styled. 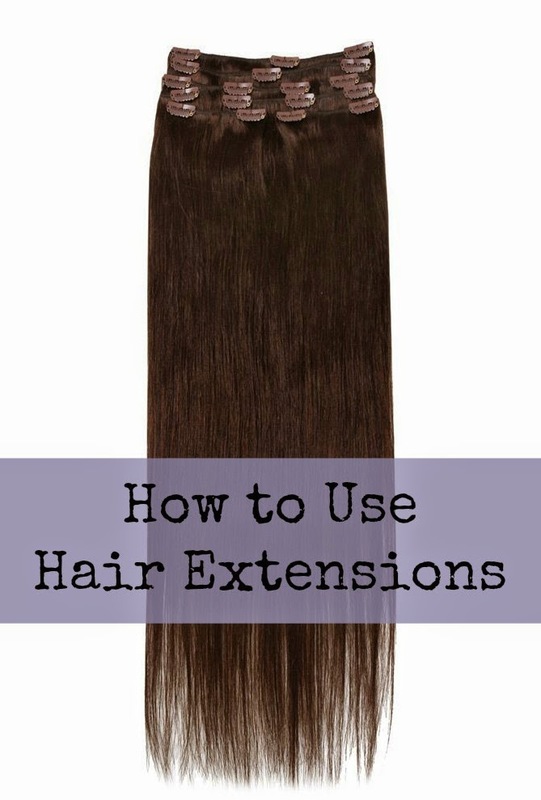 Read on for hair extension tips and tricks to keep them looking great. Wash your hair just before using the extensions. Use hair gel to reduce frizziness and help your hair stay curly. Use curlers, hot rollers, or a curling iron to curl your hair. Use your fingers or a pick to gently comb out your hair after curling. To put extensions in your hair at home, your hair should be at least shoulder length. Medium to thick hair works best, and thin hair may show the base of the extension. When using the extensions at home, its easier to make them look natural with curly or wavy styles. If you want straight hair, it's best to get them put in at a salon or practice a lot. If you use human hair, you can curl it before you attach it to your head. Leaving a 1" section at the bottom of your hair, clip the rest of your hair on the top of your head. Tease your hair for volume and spray with a volumizing hair spray. Slide the hair extension in to the loose hair with the track as close to your scalp as you can. If the track isn't cut to size, work from right to left to place the tracks in a line. If you are wearing an updo, place your extensions upside down so they blend in better. Section off another 1.5" section of hair above the track. Tease and use spray to give it volume. Add extensions. Repeat every 1" to 1.5" until you've covered your entire head. Once you have all of your extensions in place, use a looper brush to style your hair. You can also use bobby pins to secure your hair and hair spray to for hold. Spray your hair with a shine spray to blend your natural hair with the extension. Have you ever used hair extensions?